Listen to Mia on Hoseh’s “Version Sounds” on Dublab! 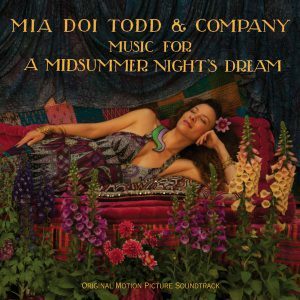 Featuring collaborations with Saul Williams, Dungen, Tunde Adebimpe, Dntel, Money Mark and many more dreamy friends, Mia’s soundtrack to ‘A Midsummer Night’s Dream’ will be released on July 13th, to coincide with the theatrical release of the film at Landmark Theaters nationwide. Previous Previous post: Listen to Mia on Hoseh’s “Version Sounds” on Dublab!